The Concert for Bangladesh is wonderful, but I was a little disappointed with how it seemed to turn into a Dylan concert when he entered as the guest star. ...That and Clapton being so hammered he picks up the wrong guitar for While My Guitar Gently Weeps . As you probably all know this is the 40th anniversary of The Concert for Bangladesh. After the concert, this came out as a 3LP in 1972, and in 1991 as a 2CD. In 2005 it was remixed, and a bonustrack was added, and it was presented as a deluxe 2CD. Recently, I saw cheaper versions of the latter. Ordinary CD-case and modified (simpler) booklet. To me, it does not look OK. Also, I found the pressing bad, it contained some pressing errors so disc 2 I could not play. So I brought it back and stuck with the previous releases. Any thoughts if this was a counterfeit, or did I just buy a defective copy? Where did you buy it? I'd have to see it, but it sounds fake. It was at a local record store in Amsterdam. Sorry for answering this late, I had trouble reaching this sit for some reason. I had the LP box back in the day, and really loved the amazing book(let) that came with it. I'm wondering if either of the CD versions has a booklet of similar scope (same number of pages / photos)? I have the 2xDVD and it has a subset. If not, which is the better version? I hear the original has a slightly 'muddier' mix to some ears, but the reissue has some of the intros etc. missing. The CD I have doesn't have the booklet, but it's an older CD release, from 1990 I think. It was actually my parents' album, and they gave it to me years later. The CD re-release has the booklet. I'm just curious as to which version has the better booklet as the original LP box had a very comprehensive one. I was thinking the same at the time - maybe they felt that putting it in a box required 3 LPs? Or maybe 'All Thing Must Pass" was an inspiration (though having recently arrived in Oz at the time I had the gatefold version that was released down here). Funny, the one I have has just the song listings and the credits. No booklet at all. ??? On the All Things Must Pass 30th anniversary/original CD version, does it contain the poster that was in the original LP? ^ You mean in the little box with the colour photo on now, the 2CD set with bonus tracks? No poster sad to say - I was hoping it would be there - though there is a reproduction in the booklet. I was hoping they would have a smaller version like in the White Album CD. I really miss all the physical stuff from LPs, hence my original question in this post. I ordered a "like new" copy of the little orange 2005 Bangladesh reissue CD box. The discs were horribly scuffed, probably due to the fact that the cardboard sleeves were too small to house the discs...which may be why the previous owner sold it back. Is this a known problem with the set? I don't want to keep buying more copies just to have the same problem. I have the music but not the box so can't help - and no i didn't download it from anywhere. I have it, bought new at the time, and my discs look fine - having just checked them for you. But, and it's a very big but, the actual discs have probably been removed no more than half-a-dozen times - maybe even only once. I get something, it goes on my hard drive, and gets listened to from there 99.99%. I couldn't even tell you the year I last looked at the box before hunting it out to take a look at the discs today! Thanks...at least I know now that there is no way my box was actually anything close to "like new"! Mine is pristine as well - but I bought it new locally. As an aside, why oh why couldn't they include the full booklet from the old LP edition instead of a rehash of the booklet in the accompanying DVD release? This was one of my favourite LP boxes back in the day - ah well, at least we get a nice bonus Dylan track and the Tambourine Man performance which is not on the DVD. The Concert for Bangladesh (or Bangla Desh, as the country was originally spelt) was the name for two benefit concerts organised by George and Ravi Shankar, held at 2.30 and 8 pm on Sunday, 1 August 1971, playing to a total of 40,000 people at Madison Square Garden in New York City. The shows were organised to raise international awareness and fund relief efforts for refugees from East Pakistan (now Bangladesh), following the 1970 Bhola Cyclone and the civil war-related atrocities. The concerts were followed by a bestselling live album, a boxed three-record set, and a movie, which opened in cinemas in the spring of 1972. The event was the first-ever benefit concert of such a magnitude and featured George Harrison , Ringo, Bob Dylan, Eric Clapton, Billy Preston, Leon Russell and Badfinger. Other close friends such as Jim Keltner and Klaus Voormann were also on stage. In addition, Ravi Shankar and Ali Akbar Khan, both of whom had ancestral roots in Bangladesh – performed an opening set of Indian music. John Lennon and Paul McCartney were invited but did not attend. The concerts raised close to 250,000 dollars for Bangladesh relief, which was administered by Unicef. Although the project was subsequently marred by financial issues, such as government taxes and some companies seeking royalties, the Concert for Bangladesh is recognised as a highly successful and influential humanitarian aid project, generating both awareness and considerable funds as well as providing valuable lessons and inspiration for projects that followed, notably Live Aid. By 1985, through revenue raised from the Concert for Bangladesh live album and film, an estimated $12 million had been sent to Bangladesh in relief. 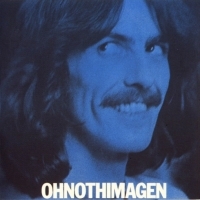 Sales of the live album and DVD release of the film continue to benefit the George Harrison Fund for UNICEF. I don't remember much of the rest, except for Leon Russell's too-long "Jumpin' Jack Flash" medley.